See more objects with the tag communication, compact, streamline, white. This is a Telephone. 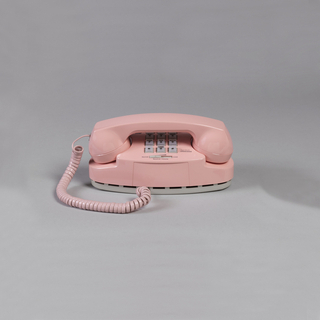 It was designed by Donald M. Genaro and manufactured by Western Electric Manufacturing Company and from the office of Henry Dreyfuss Associates and made for (as the client) Bell Telephone Laboratories. It is dated ca. 1970 and we acquired it in 2015. Its medium is compression-molded abs plastic, metal, electronic components. It is a part of the Product Design and Decorative Arts department. 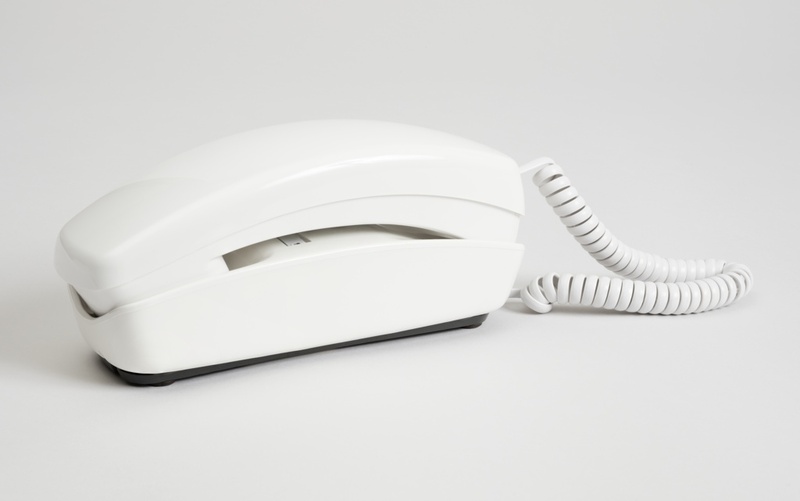 The Trimline telephone is one of the most recognizable and commonly used devices to be produced by Henry Dreyfuss Associates. Donald Genaro presided over its design production between 1962 and 1965. The phone was notable for its movement of the dial from the base to the handset, a legacy that is carried on today with the use of the modern cell phone. 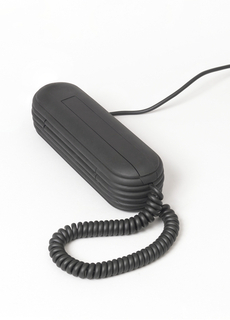 It was among the first phones to use the RJ11 modular plug and jack, a connecting device now found on numerous electrical products. The phone achieved such great popularity due to its compact design of a smooth plastic shell under which all of the mechanical parts are contained. In the design process, special attention was paid to achieve unobtrusive seaming of the plastic parts and ensure a streamlined shape. Ergonomics was an integral part of the production of all products developed in the Dreyfuss office. 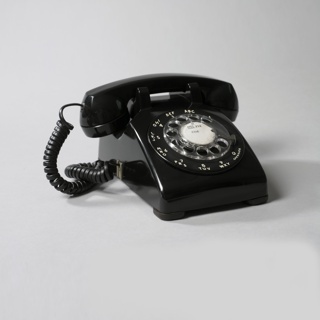 In the case of this phone, extensive measurements were made to achieve the correct handset shape to fit the distance on the average user between the ear and the mouth so that the phone was comfortable to use and allowed for perceptible speaking and hearing. A prototype underwent a field trial in American homes to ensure consumer satisfaction and success in real time use. 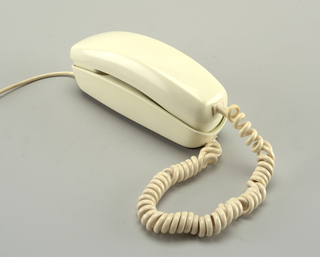 This phone represents the model that was most widely used in American households and is still produced and used today. This object was donated by Donald M. Genaro. It is credited Gift of Donald M. Genaro.